"Litton’s playing is remarkable ... the whole disc is a delight." "Ballads predominate, providing ample scope for embellishment ... this disc is less about jazz's sound of surprise than sheer delight in dazzlement." "Four Stars ... Litton has followed and played this music for a long time and clearly understands how to interpret these amazing arrangements of Peterson’s recordings. His idea is to replicate in modern hi-res audio what the master did on these tunes ... Litton is playing a Bösendorfer Imperial grand piano, so the sound is much better than any of Peterson’s recordings ..."
"... beautifully recorded, artistically successful ... Litton is an articulate soloist, stylistically very much aware of the milieu, plays on a gorgeous-sounding Bösendorfer Imperial in an excellent acoustic venue ... confirmed Petersonians may baulk at Litton being, as they might see it, literalist in his tribute. Others will greatly enjoy his joyful and confident salute, whilst knowing that Oscar’s recordings are always available to listen to and that Litton is offering a nuanced and personal salute to the great man." 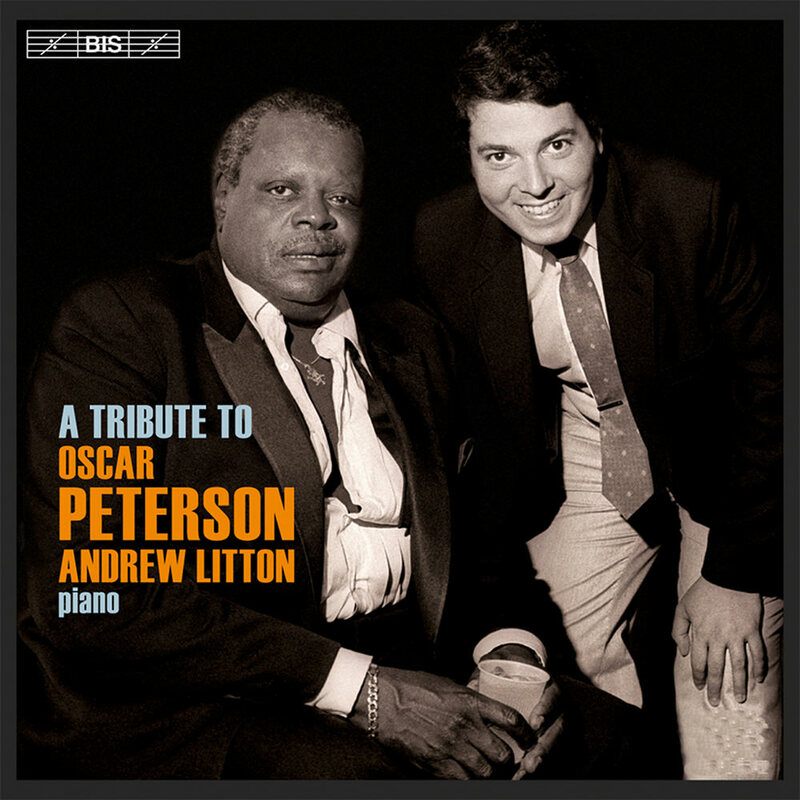 Conductor and pianist Andrew Litton has been hooked on Oscar Peterson since receiving an album of Peterson's as a 16th birthday gift. Calling it an epiphany, Litton was struck by the amazing colours, the voicing, the achingly beautiful original harmonies and the feathering of the sustain pedal only Horowitz could match. Collecting all of Peterson’s recordings and seeking out opportunities to hear him live and meet him in person, over the years Litton realized that the admiration he felt was shared by many of the classical musicians he met during his day job as a conductor. When he started to come across transcriptions of Peterson’s improvisations made by such musician friends, Litton began learning them himself. As he kept learning new improvisations, what Litton himself describes as "a dream" took shape, to record his own performances of some of these transcriptions as a tribute to his hero.